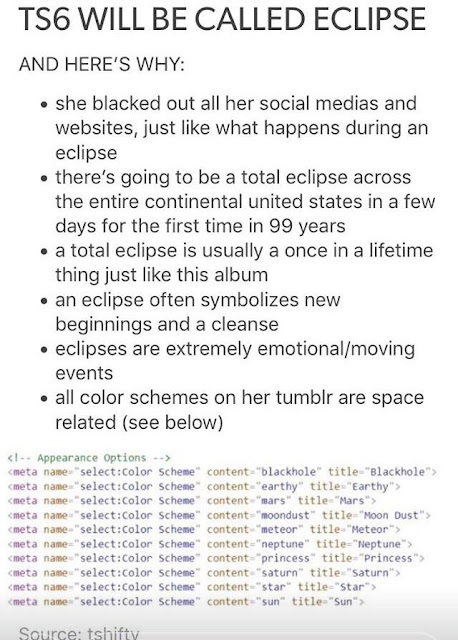 Home / album / celeb / music / news / taylor swift / viral / Taylor Swift ‘eclipsed’ her social media to announce new album? Taylor Swift ‘eclipsed’ her social media to announce new album? 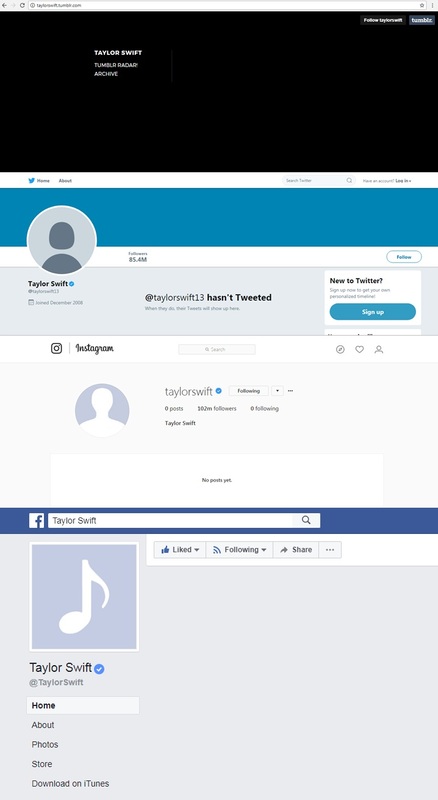 Over the weekend, pop princess Taylor Swift completely wiped blank all of her social media accounts including Facebook, Instagram, Twitter, Tumblr, and even her official site. This has caused mass panic on the internet especially among her fans with the hashtag #TS6IsComing (Taylor Swift is Coming) trending on all platforms! Several rumours popped up after Swift cleaned up her accounts – some say she is going on an early retirement, some say she is taking a break from social media, and some say she has been hacked. Taylor Swift’s latest album “1989” was released in 2014. The album sold 1.287 million copies during the first week of release, making Swift the first artist to sell one million or more copies of an album in a week-long period for three albums. The album eventually became the best-selling album of 2014 in the US market and has sold over 6 million as of January 2017, while selling 9.5 million worldwide. Featuring number one hits like “Shake it Off”, “Blank Space” and “Bad Blood”, all which reached number one on the US Billboard Hot 100, “1989” won the Grammy Award for Album of the Year in 2016. 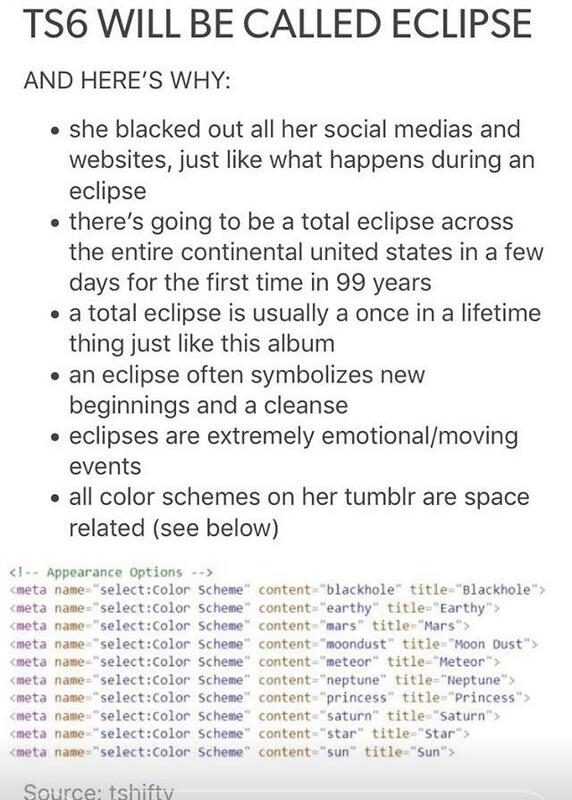 The U.S. solar eclipse should take place today around 1pm-ish, so if Taylor Swift really is dropping a new album, she is competing with the freaking sun! – that is so Taylor!